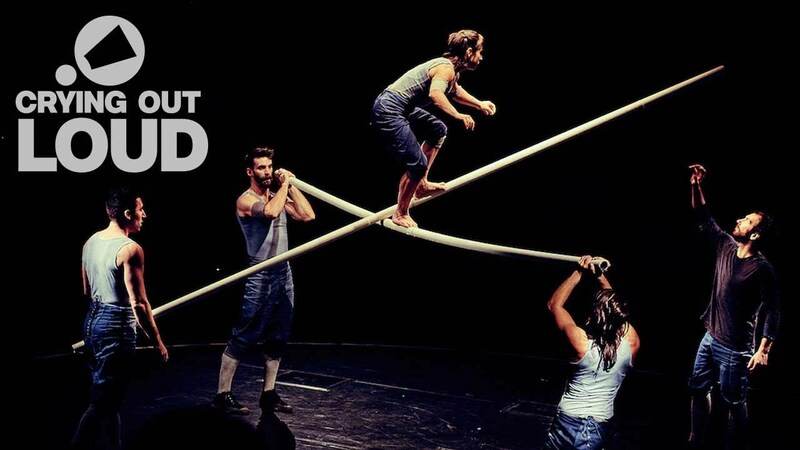 Spotlight UK Circus is an unprecedented opportunity for the very best UK contemporary circus artists to showcase work at three key international festivals: CIRCa festival du cirque actuel, Subcase Subtopia Circus Fair and Festival OFF d’Avignon. 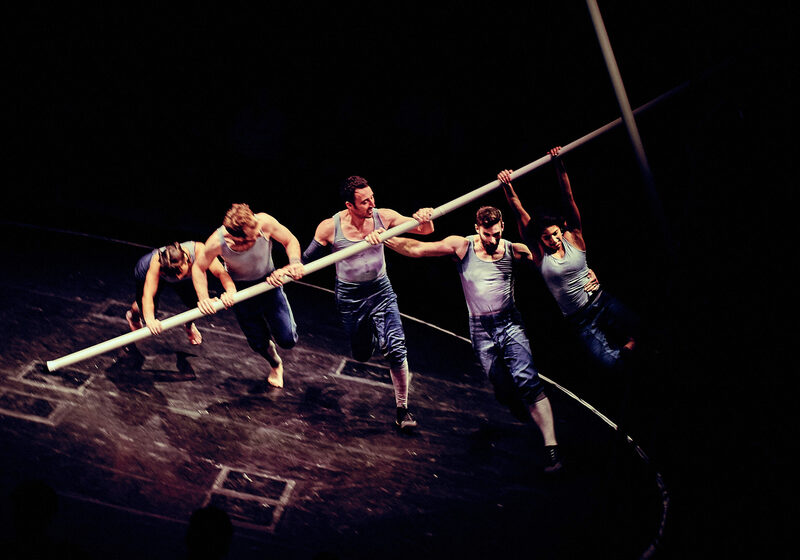 CIRCa festival du cirque actuel, 20 – 29 October 2017, will feature public performances of FLOWN (Pirates of the Carabina), Tipping Point (Ockham’s Razor), Ringside (Ellie Dubois) and Knot (Nikki & JD). Pitches will be made to promoters by Extraordinary Bodies, José Triguero and Gemma Palomar, Levantes Dance Theatre, Max Calaf Sevé, Mimbre, Scarabeus Aerial Theatre and Upwing. Tipping Point, staged in the round, allows for an intimate connection between the artists and the audience who encircle them. With five metal poles, five performers create a compelling series of poetic phrases set against a backdrop of atmospheric shadows and hypnotic music. Knot is an acrobatic pas de deux about the search for a significant partner. 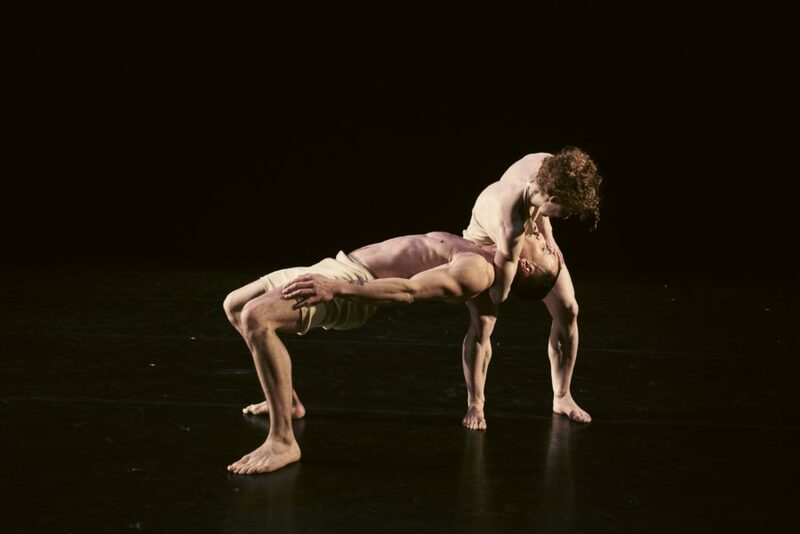 As the two performers execute athletic lifts and balances, and perform sinewy choreography, their voices share the romantic dreams, falsehoods and confusion that underpin their complex relationship. Ringside. A woman on a trapeze. The vision of every glamorous woman you’ve ever seen suspended high up in the big top, performing for the crowd. But here, this is not circus as we usually know it. Here she’s up close and her intimate aerial performance is for an audience of one: you. Irreverent bold and breathtaking, FLOWN tells the tale of a motley crew of incredible acrobats, aerialists, musicians and stuntmen trying to get a show on the road. But no-one seems prepared and mishaps, misfortune and misunderstandings get in the way. This is circus in which everything can go wrong, and most things do – calamity is just one step away. Ockham’s Razor was formed in 2004 by Alex Harvey, Tina Koch and Charlotte Mooney who met while studying at Circomedia, Academy of Circus Arts and Physical Performance in Bristol. In spring 2006 Turtle Key Arts became their producers. 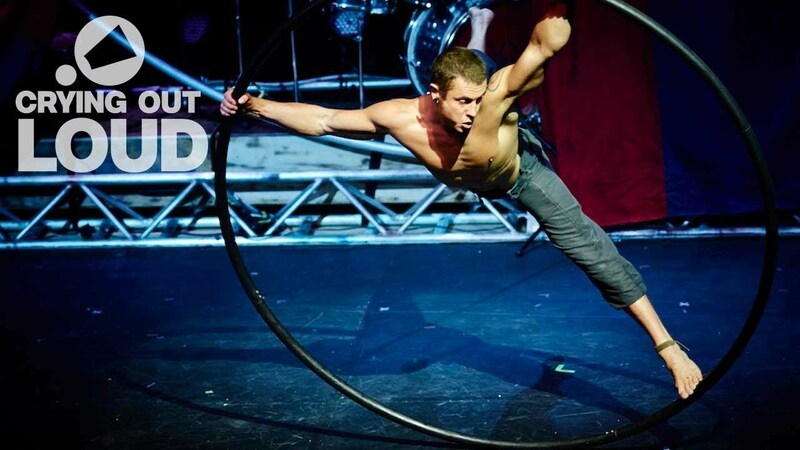 Ockham’s Razor was the first British company to be funded by Jeunes Talents Cirque Europe (now Circus Next). In 2006 they premiered their first full evening programme at the London International Mime Festival to a sell-out audience. Since then the company has performed in theatres and festivals throughout the UK, Europe, Australia and USA and has established a reputation for innovative, arresting and accessible performances. Nikki & JD are an acrobatic duo with a unique blend of skills in hand-to-hand, gymnastics, capoeira and contemporary dance. Since the beginning of their collaboration they have sought to push and refine their use of acrobatics, dance and storytelling. They have worked together for 4 years with companies including Barely Methodical Troupe and Square Peg Contemporary circus. They were finalists in Udderbelly’s 2015 Circus Maximus competition and represented at the 2015 CANVAS Showcase. Ellie Dubois is an award-winning performance maker based in the rural fishing village of Tayvallich on the West Coast of Scotland. She makes and directs contemporary circus and performance. Her work has toured extensively across the UK and received critical acclaim. She is now starting to take her work to the rest of Europe. She has recently received a Jerwood Performing Arts Micro Bursary for the creation of new work. She is an Associate Artist at Platform and is part of Articulation. Pirates of the Carabina (POC) are known for their innovative, fresh and beautifully choreographed contemporary circus performances. They specialize in theatrical, highly technical shows with a very strong live music ethos. Comprised of a crew of 13 highly experienced and committed circus artists, riggers, musicians and technicians, POC initially came together for a one-off commissioned performance of FLOWN in 2011 at Glastonbury Festival. Since then POC have toured FLOWN to venues across the UK and the rest of Europe, performing over 260 shows to audiences of more than 250,000 and to capacity crowds at Bristol Festival, Glastonbury Festival and the Edinburgh Festival Fringe where they won the Total Theatre Award for best Physical/Visual Theatre in 2013. 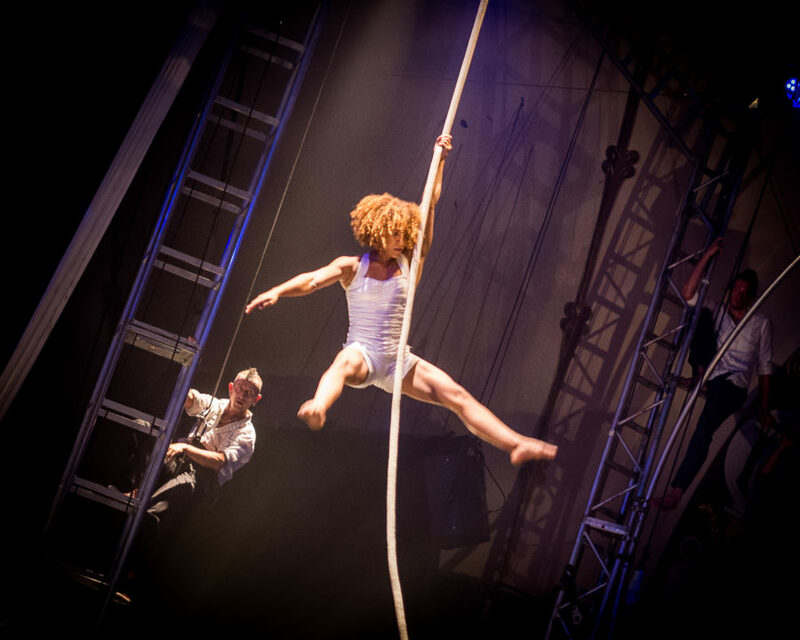 With the support of the Arts Councils of both England and of Wales, and in partnership with Crying Out Loud, FLOWN has developed into one of the UK’s most in-demand touring contemporary circus theatre shows. In a session for promoters, 7 companies will pitch either works in progress or full length pieces to secure touring dates or development time. The session will take place at Ciné, 32 Allée des Arts from 10am on Monday 23 October.